I didn't use JUST compound butter for my fats/oil. I used a combination of beef tallow and compound butter. Beef Tallow - I started off with beef tallow as fat because it has a significantly higher burn point than butter. 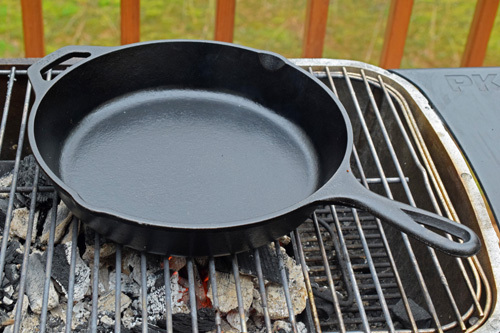 Mixing a higher temp cooking oil (canola or peanut) with a lower temperature cooking oil (olive oil or butter) doesn't raise the smoke point of the lower temp oil, that's a myth. But I started with the tallow and then added the butter, later in the cook, so it didn't have as long to burn. Compound butter - I added the compound butter for lusciousness and flavor. 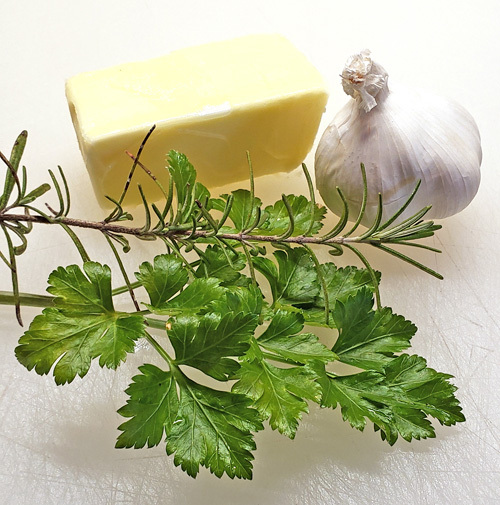 My compound butter was a quarter cup of butter, some parsley and rosemary from the front yard, a clove of finely minced garlic, and a pinch or two of salt. 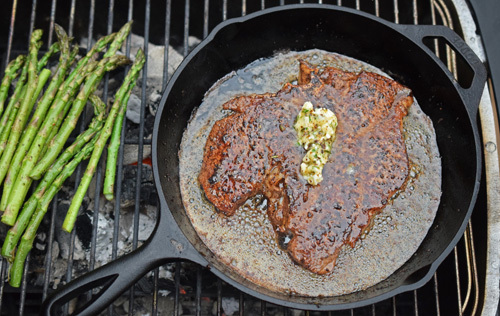 I patted the Certified Angus Beef ® Brand porterhouse steak dry and lightly coated it with about one tablespoon of avocado oil (peanut, canola, or other high temp oils would do). I seasoned it on top and bottom with an Easy Steak Rub recipe. 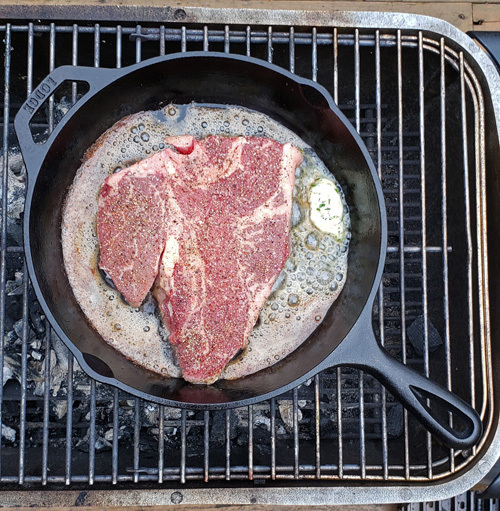 Once the skillet was preheated, I added the beef tallow, let it melt, and then added the steak. I added the compound butter about 2 minutes later. 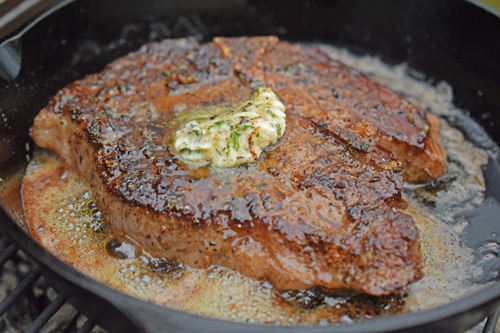 Once I flipped the steak over, I added more butter and then started basting the steak. It took a total of about 6 minutes to cook the steak. Normally I would expect about 8 minutes, but the fire was running pretty darn hot. What a delicious way to kick off the long evenings of Spring and Summer!